As we begin to make the final preparations for our upcoming trip to Istanbul we are taken back to last summer’s vacation destination of Barcelona Spain where we looked forward to visiting and studying the works of Antoni Gaudi and other Catalan Modernists whom Martin has long admired. One of our destinations while there was the Parc Guell, an area that could certainly be referred to as the original gated community! Named after Count Eusebi Guell, what is now a public park was originally designed as a housing development inspired by the English garden city movement in which homes were planned around a community that was self-contained and included plenty of what we now refer to as greenbelts. Visit any modern housing development and you will see this idea in play today. Sixty lots were created with the intent of building luxury homes that took advantage of the view and the fresh air, far from the smoky environment of the city. 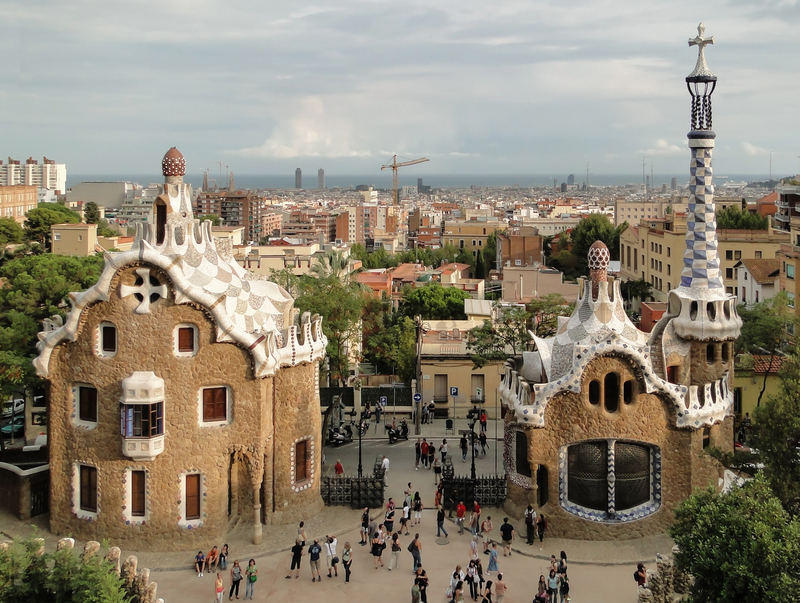 Count Guell chose Antoni Gaudi, a renowned architect of the time, to design the buildings and homes. Unfortunately, only two lots sold, forcing Guell to alter his plans. He convinced Antoni Gaudi to purchase the “model home” that had been constructed and Gaudi moved in with his family and his father, where they lived until 1925, just a year before Gaudi’s death. This house is now the Gaudi House Museum and home to many of Gaudi’s furniture and other designs. If you are in the Barcelona area this historical museum is definitely worth a visit. To view our entire collection of architectural hardware and custom wall sconces, please visit our site at http://www.martinpierce.com. This entry was posted in architectural hardware and tagged 2014 hd expo, antoni gaudi, catalan architects, catalan modernists, garden city movement, gaudi house museum, parc guell. Bookmark the permalink.